Preheat the oven at 200 degrees Celsius (392 F). Roughly chop up the figs, hazelnuts, orange and parsley. Combine all ingredients in a mixing bowl and season with salt and pepper. Using a sharp knife, open up the turkey breast on the flesh side and flatten it. 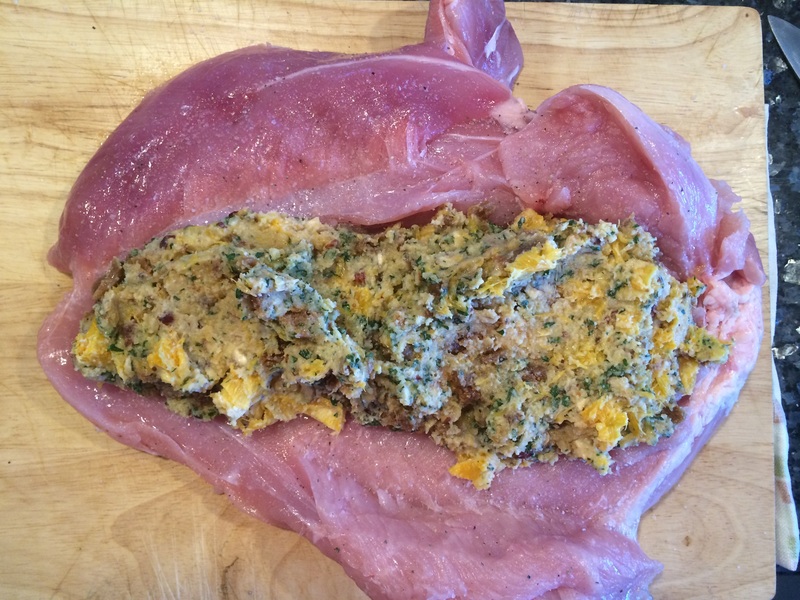 Season the meat with salt and pepper, and then arrange the stuffing evenly in the middle. Wrap the turkey tightly around the stuffing, and tie it all up using cooking string. Cook in the hot oven for 2 ½ hours, cover it with foil for the first half of the cooking to keep it juicy and moist. Take the foil off for the last part of the cooking to crisp up the skin. Combine all the ingredients in a medium size sauce and cook on a medium heat for 10 minutes, then lower the heat and cook until you obtain a glossy looking mixture almost like a jam. You want the relish to still be quiet saucy. Check the seasoning, you can add a bit more vinegar if you want your relish to have a bit more kick! Serve hot with the turkey breast. 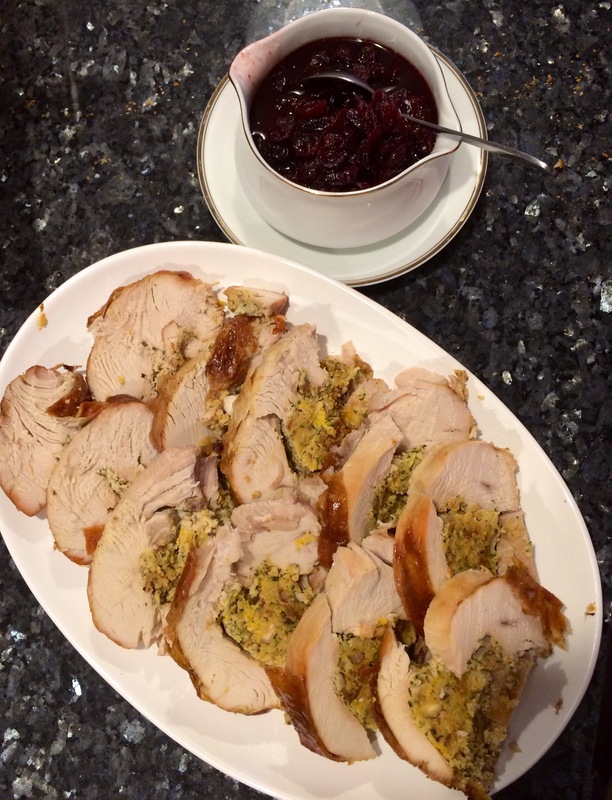 Any left over turkey will make the perfect filling for a sandwich or a cold meat platter the next day!